Nomos has created limited edition Tangente timepieces for humanitarian NGO Doctors Without Borders, better known as Médecins Sans Frontières with 100 Euros, dollars or sterling pounds from each watch sold going to MSF. 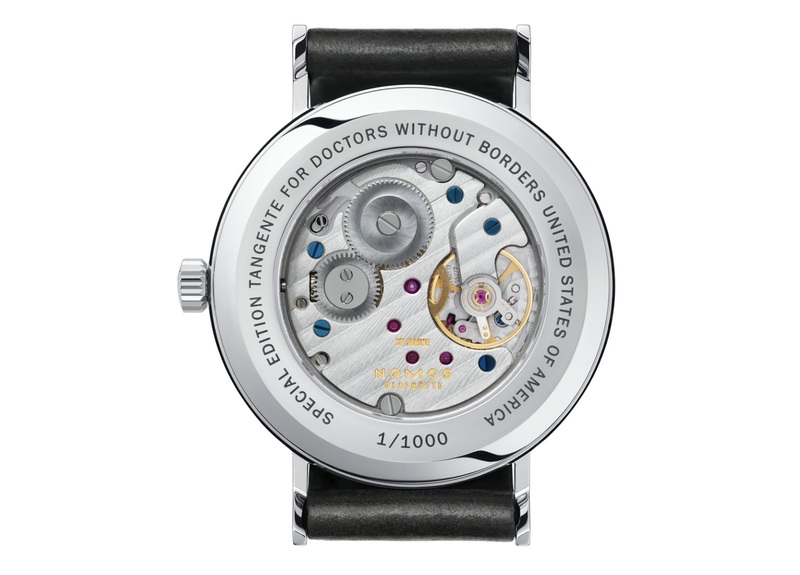 Nomos first created the edition for Médecins Sans Frontières Germany, which was only available in its domestic market. That has now expanded to Doctors Without Borders in the United States and United Kingdom, with additional editions for each market. US$100 and £100 from the sale of each watch in each market will go to MSF. 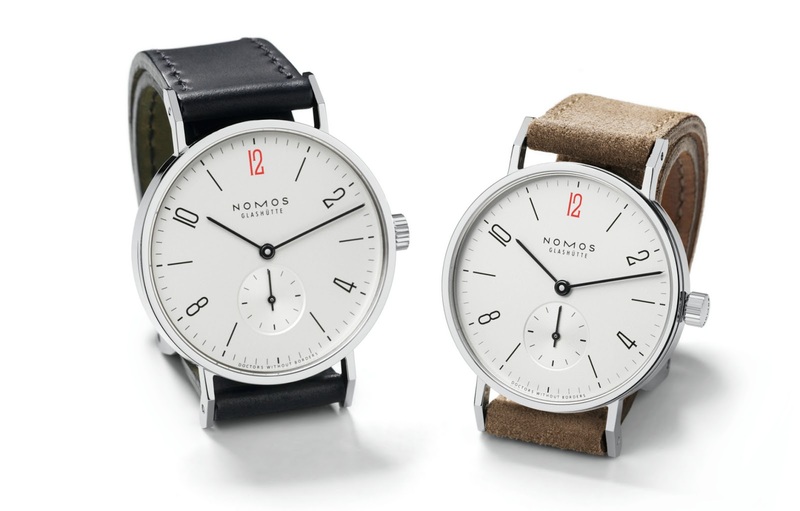 The Tangente Doctors Without Borders feature Nomos’ signature look with a small twist, a red “12” as well as “Doctors Without Borders” in tiny script at six o’clock. Four versions are available, each limited to 1000 pieces. All have a display back that shows off the attractively finished Nomos Alpha hand-woud movement. The smallest is the Tangente 33 for the USA and UK, with a 33 mm case and a price of US$1960. Then there is the Tangente 35 for the UK only priced at US$2180, and also the Tangente 38 for the American market for US$2330. They are available direct from Nomos’ online store.